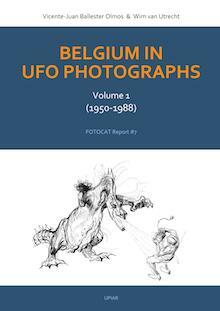 B elgium in UFO Photographs - Volume 1 , written by Wim VAN UTRECHT (CAELESTIA, Belgium) and Vicente-Juan BALLESTER OLMOS (FOTOCAT, Spain), is a scientifically oriented inquiry into all known UFO pictures taken in Belgium between 1950 and 1988. Next to descriptions of UFO sightings and detailed analyses of UFO images, the book has numerous examples of how untrained observers were deceived by common phenomena, and how photographs of dubious origin made their way into UFO history. The book is a documented history of four decades&apos; worth of UFO incidents that involved witnesses who provided photographic evidence (be that negatives, prints, slides, films, or videotapes) on top of their own testimony. The authors have investigated every event weighing the evidence for real anomalies occurring in our atmosphere. Ballester-Olmos and Van Utrecht, like me, believe that &apos;IFOs&apos; have lessons to teach &apos;ufologists&apos; that are crucial to making sense of cases that remain in the &apos;true UFO&apos; data bases . . . The newfound power of combining GOOD records keeping with Internet tools and search engines can be seen in specific cases discussed by the authors . . . In case after case, the authors apply wide knowledge of geometry, optics, meteorology, human perception, and human cultural context, to illustrate that plausible explanations often are found . . . The approach shown by Ballester-Olmos and Van Utrecht should serve as an example and as an inspiration to other &apos;citizen scientists&apos; who have played a crucial role in providing the resources that will allow theorists with more data and wider insight to someday make more sense about what lies behind this mysterious phenomenon. Aprevious English-language publication directly available from CAELESTIA is Unidentified Aerial Object Photographed near Zwischbergen, Switzerland, on July 26, 1975 (ISBN 90-802220-1-1). 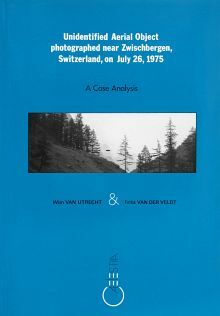 This 226 page case analysis is devoted entirely to the investigation of one of ufology's best UFO photos, a picture usually referred to as the "Saas Fee photo" because of the proximity of this well-known Swiss ski resort to the sighting location. The book is written by Wim VAN UTRECHT and Frits VAN DER VELDT. It contains numerous illustrations and a detailed index. A high-quality colour print of the UFO photo in question is inserted in each copy. Unidentified Aerial Object Photographed near Zwischbergen, Switzerland, on July 26, 1975 can be purchased at the price of 15 EUR (or 20 USD) per copy, postage and shipment included. Please contact us for ordering and payment information.